The community of Vusimuzi in Tembisa, Johannesburg, is facing a forced development by the Ekurhuleni municipality. The municipality is currently demolishing people’s houses in the name of development. The reblocking project that is underway has been forced on the community. There has never been any consultation with the community with regard to this so-called ‘development’. This is government thuggery against impoverished people. When a community is vandalised in this manner there is no chance for democracy. Is this the freedom which our people fought for? Is this this how the ANC honour the struggle icon Winnie Madikizela-Mandela? We have always said that we do not oppose development in our communities. In fact, one of our slogans is ‘Occupy. Resist. Develop’. However, we stand for participatory development, for radial democracy. Development must be a democratic project and not a top down project by government, local party structures, NGOs and experts. Attempts to engage the Councillor in the area have failed. He has made it clear that he does not recognise our movement. The leadership in the area has also written to the Speaker in the Municipality requesting a meeting to resolve this matter. However there has never been any response from the Speaker as to whether she is prepared to discuss this matter with the community. On Friday the Municipality continued to demolish people’s structures without their permission. This is not ‘development’. It is another state organised attack on impoverished people. The community, assisted by comrades from another Abahlali, branch managed to resist these vicious attacks. If the attacks continue this week we will continue to resist. Our lives, homes and communities continue to be vandalised by the very government that claims to want to return the land to the people. We must ask an important question: who is counted as being part of ‘the people’, and who is not? It is clear to us that impoverished people are not included in this understanding of ‘the people’. The very government that claims to restore the dignity of black people continues to attack and kill us when we occupy land for living. We reject any so-called freedom when our lives, homes and communities are vandalised by the government in this manner. We reject any freedom when we still do not count as part of the people, or even as human beings, in the eyes of the government. The ANC are our new oppressors. The struggle for land and dignity continues. We will continue to build democratic popular power from below, and to expropriate land from below. Our dignity is not negotiable. 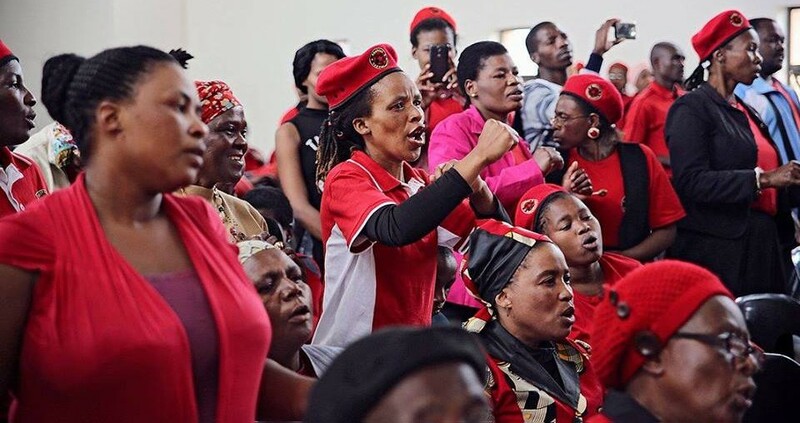 Abahlali press release, South Africa, April 8, 2018. Previous post: Live Blog: The Eviction of #ZAD #NDDL Started: #ZADResist!